Our Outdoor Rink is now Open! Posted on December 30, 2017 by AGMS | Comments Off on Our Outdoor Rink is now Open! The ODR is officially open and ready for the fun times to begin with friends and family. So dust off your skates, dress warm and have fun. 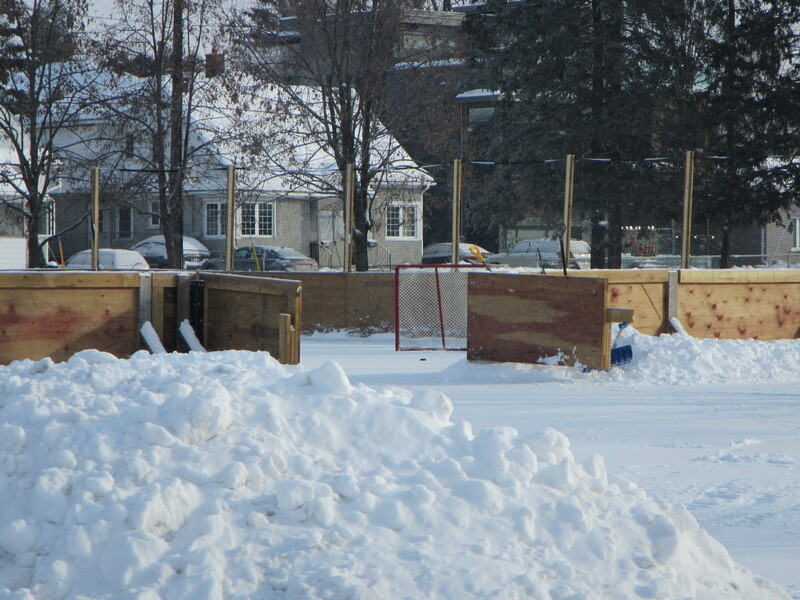 Many thanks to Jim Kot and his rink volunteers for their hard work in making this ready for the holidays. Two volunteers (one large, one small, offside, thanks!) are currently (2017.12.30, 1pm) dusting off this morning’s powdery snow. Gates are open, the net awaits! This entry was posted in Outdoor Rink (ODR). Bookmark the permalink.